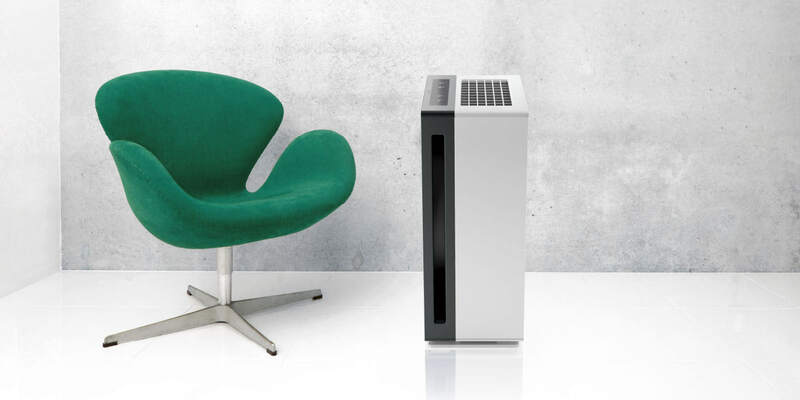 The professional high-performance air purifiers IDEAL AP60 Pro / AP80 Pro bring pure air into your offices and rooms. Reliable. Effective. Powerful. The essential feature of efficient air cleaners is the perfect interaction of the components. Filter technology, fan and sensor system of the models AP60 Pro / AP80 Pro have been designed for a very high throughput of air and maximum cleaning performance. Due to the highly efficient filter materials, the unique multi-layer combination filter developed specially for the models IDEAL AP60 Pro and IDEAL AP80 Pro provide effective protection against all air pollutants. The five-layer highly efficient IDEAL HEPA Smart Filter guarantees effective in-depth filtration with optimal air permeability. The 360° filter cartridge removes harmful particles – layer by layer for outstanding cleaning performance. The “Made in Germany” products utilising the highest-quality materials and components produced by German world-class suppliers. And their unobtrusive high-quality design harmoniously integrates into your interior surroundings.